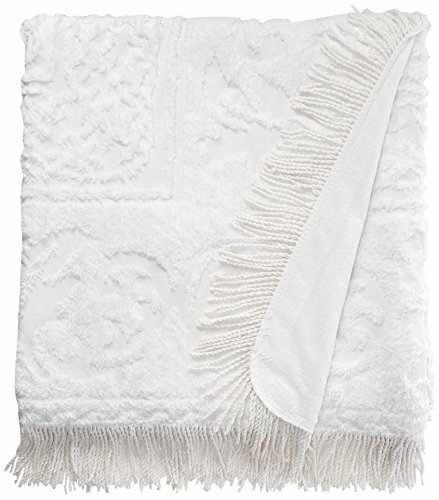 Youll feel as if youre on vacation when your bed is draped with the Beatrice Home Fashions Medallion chenille bedspread. The pillowy soft cotton keeps you surrounded in softness while the unique stitching adds the perfect touch of texture to your beautifully coordinated bedroom. WARM, SOFT, COZY - Sleep better and wake up each morning feeling refreshed and full of energy. EASY CARE - Fade, stain, shed and wrinkle resistant. Pre-washed, will not shrink. WARM, SOFT, COZY - Sleep better and wake up each morning feeling refreshed and full of energy. Super soft, most comfortable and luxurious bed sheets you can find. Best for any room in your house - bedroom, guest room, kids room, RV, vacation home, camping. Great gift idea for men and women, moms and dads, Valentine's - Mother's - Father's Day and Christmas. EASY CARE - Fade, stain, shed and wrinkle resistant. Pre-washed, will not shrink. Gets softer with every wash. Machine wash cold, tumble dry low. LIFETIME GUARANTEE - Mellanni is a different kind of company that prides itself in providing the absolute best customer service in the industry. If for any reason you decide that this bed sheet set is not for you, send 1 simple email and receive a 100% money-back refund, absolutely no questions asked. (in fact, you don't even have to return the set). There is no risk in buying. ORDER NOW! Give your bed a new, matching look with this three-piece quilted coverlet set. 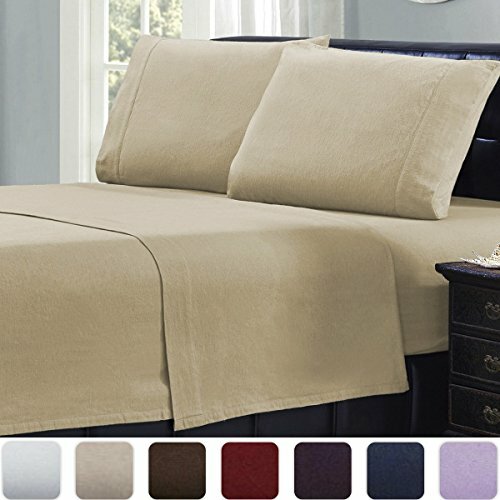 Made from soft and comfortable microfiber, this set includes a coverlet and two pillowcases with wireless thermal pressing to keep the filling from bunching or shifting. The set comes in your choice of blue, grey,green, or lavender colors, king or queen sizes, and can be machine washed for convenient cleaning. Features: Includes coverlet and 2 pillowcases Microfiber construction Wireless thermal pressing Foliage pattern Hypoallergenic Solid color Machine washableTiffany blue, grey, light lime green, and lavender color options Queen or king size Queen Dimensions: Coverlet: 100 inches wide x 106 inches long 2 standard pillowcases: 20 incheswidex 26 incheslongKing Dimensions: Coverlet: 118 incheswidex 108 incheslong 2 king pillowcases: 20 incheswidex 36 incheslong The digital images we display have the most accurate color possible. However, due to differences in computer monitors, we cannot be responsible for variations in color between the actual product and your screen.Please note: Some options listed or pictured may be currently out of stock. See option drop down for all in-stock options.The digital images we display have the most accurate color possible. However, due to differences in computer monitors, we cannot be responsible for variations in color between the actual product and your screen.